ISWC/Ubicomp has a list of hotels with pre-reserved rooms. The convention center is located in Heidelberg’s Old Town, next to the river Neckar and close to several hotels, the famous Heidelberg Castle and many other sights. Moreover the convention center can be reached easily by public transport. At Frankfurt Airport enter the train at the Frankfurt Airport Train station direction Mannheim. In Mannheim switch to the train to Heidelberg main station (Heidelberg Hauptbahnhof). Total travel time is 1:10h. People with disabilities: Please contact Fraport Care Service 48h hour before landing. At Stuttgart Airport enter the local train (S-Bah) to Stuttgart main station (Stuttgart Hauptbahnhof). There enter the train to Heidelberg main station (Heidelberg Hauptbahnhof). Total travel time is 1:30h. Heidelberg is good to reach by train. Check your schedule and price from your destination via the Bahn Web Site. From the main station you can continue using the local public transport. Schedules can be found at the VRN Web Site. 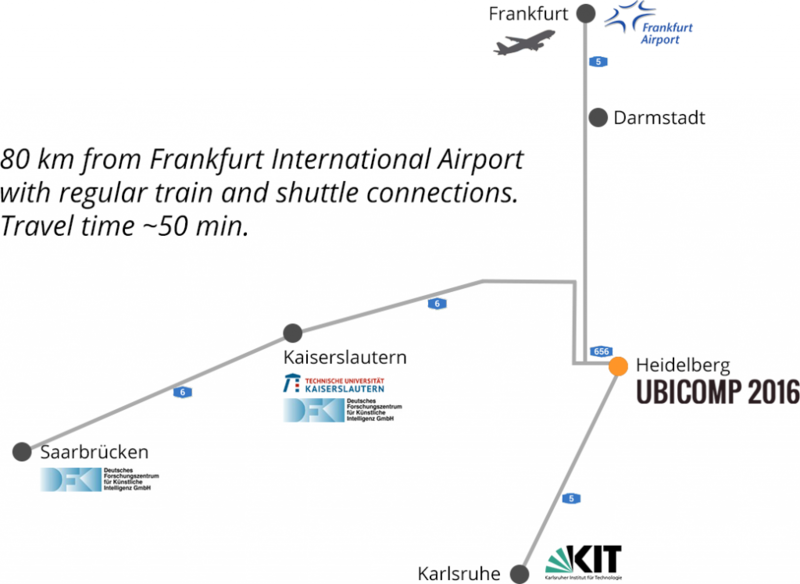 The city center and the conference location is about 2.5km (30 minutes walking time) from the main station (eastwards). You may walk, but you can also take the bus directly to the conference building. Enter the bus RNV 32 direction “Heidelberg, Universitätsplatz” and leave at station “Kongresshaus” directly at the conference location. The bus runs every 10 minutes (main hours), travel time is 10 minutes. The motorways A5/A6, with interconnected highways, serve much of the greater Rhine-Neckar metropolitan region. Motorways A5/A6, direct motorway on-ramps and exits from/to Heidelberg via the A5/A656 (Darmstadt-Karlsruhe-Basel). The best parking possibilities for visitors of the convention center are parking garages P6 and P8 in the convention center area. Heidelberg has an environmental zone, into which only vehicles which meet certain emissions standards are permitted to drive. Cars which are used in the Green Zone must be equipped with a sticker that indicates their emissions group. Since January 2012 only vehicles which display a green or yellow sticker are permitted in the environmental zones. Please note that from January 2013 even the yellow sticker will be no longer permitted, you need a green sticker to drive in the environmental zones.